In July 2014 we held our second tripartite workshop 'TICS', which brought together people with Tourette's Syndrome (TS) expert neuroscientists and artists. As with our SEIZURE workshop our aim was to engage people with TS with current scientific research, and give researchers in TS an opportunity to hear the personal side of TS. These viewpoints were then channeled through the creation of artwork facilitated by professional artists. Many people have heard of TS, and it is a disorder that it is often misrepresented and sensationalised in the media. This workshop gave people living with TS, neuroscientists and people with no experience of TS (the artists) an opportunity to address the stereotypes that exist around TS and challenge them, raising themes that participants felt were important to convey to the public. In addition, the workshop served to enrich all participants' own understanding of TS. 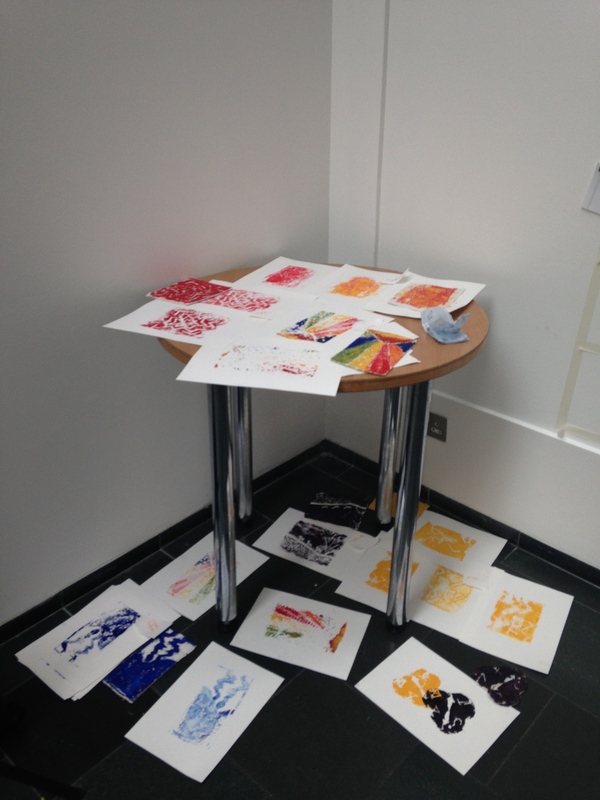 A wide variety of artwork was created- from storyboards that inspired a short animation through to printmaking. In preparing for this workshop we were particularly lucky to collaborate with Le Mot Juste, a theatre company who explore TS through an adaptation of Oliver Sacks's story of 'Witty Ticcy Ray'. Ray is an incredible jazz musician with TS. In keeping with the theme of music, Le Mot Juste kicked off our workshop with a rhythm icebreaker, and finished the day with their incredible rendition of 'Witty Ticcy Ray'-check it out below!